Infractions are the lowest level of crimes in California. Infractions do not carry any jail time. They are so low a level of crime that if you are charged with an infraction you do not have a right to an attorney. That means the state will not provide you an attorney. However, YOU SHOULD HAVE AN ATTORNEY TO FIGHT FOR YOU. Although an infraction does not come with jail consequences it could come with life consequences. Such as administrative or otherwise. For example licenses by the government could be effected by an infraction being put on your record. I have seen people in court represent themselves and get offered an infraction for petty theft, but later get fired from their job because of this being on their record. Do not believe the court or District Attorney if they tell you a plea to an infraction will not be on your record. IT WILL BE ON YOUR RECORD. Misdemeanors are criminal offenses that carry jail time and fines. If convicted of a misdemeanor you could spend between 90 days to 1 year maximum in county jail and pay up to $1,000 in fines. However, there are some offenses which exceed this general criteria; for example, spousal abuse and DUI's carry higher maximum fines. Misdemeanors are considered minor violations of law, but if you plead guilty to them, they will be on your permanent record. California laws are very harsh in this regard, in that once you have a misdemeanor on your record, it never goes away. Do not let anyone tell you otherwise, especially a judge or prosecutor. Felonies are offenses that are more aggravated and could land someone in prison or jail. If someone is sent to prison because of a felony conviction, that person could be sentenced to as little as 16 months and as long as life. A person can also be sentenced to death after being convicted of 1st degree murder with special circumstances. A person convicted of a felony can never own or possess a firearm or ammunition. A person convicted of domestic violence is banned from owning firearms and ammunition. That ban is 10 years under state law and life under federal law. Many other crimes in California come with a 10 year firearm ban even if they are misdemeanors. What Happens In A Criminal Case? Sometimes people are arrested and no charges are filed. Sometimes people are arrested and The Bogan Law Firm, A Professional Corporation can persuade the DA not to file the charges. Other times it is best to not bring your case to the DA's attention anymore than necessary. It really depends on the circumstances of your case. When you retain The Bogan Law Firm, A Professional Corporation, an attorney can guide you through the process. If the District Attorney's Office files charges against you then you will have a court date for arraignment. The arraignment is where the court informs you of the charges filed. The court also explains to you the rights that you have. Once retained The Bogan Law Firm, A Professional Corporation to protect you from the government and appear for you in court. 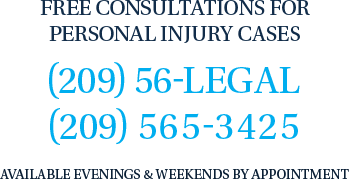 On a misdemeanor the court generally allows you to stay home or work while an attorney with The Bogan Law Firm, A Professional Corporation appear for you. On a felony case the court may or may not allow an attorney to appear for a client. Most people do not want to come to court without retaining an attorney because court appearances alone are scary because sometime judges can be intimidating toward people charges with crimes. Judges can also be intimidating to inexperienced, incompetent or non confident lawyers. Tai C. Bogan and the lawyers with The Bogan Law Firm, A Professional Corporation are trial lawyer who will protect you from the District Attorney and the judge. The Bogan Law Firm, A Professional Corporation wants to keep your criminal record clean. Those who do not have a criminal record should be very careful when blemishing their record. Because Tai C. Bogan and attorneys with The Bogan Law Firm, A Professional Corporation are not afraid of going to trial, often times the District Attorney will be receptive to a negotiated dismissal under certain circumstances. Mr. Bogan or attorneys with The Bogan Law Firm, A Professional Corporation cannot guarantee an dismissal but it is something they will push for every step of the process. Sometimes is is just not possible to negotiate a dismissal. This is usually the case when there is substantial evidence against you and very little chance if any of victory at a jury trial. Even in cases where there is no legal defense to your case, Mr. Bogan and attorneys with The Bogan Law Firm, A Professional Corporation is sometimes successful in persuading the DA and the judge to reduce the charges or dismiss them at a later time. If you are charged with a felony then you have a right to a preliminary hearing. At that hearing the District Attorney has the burden to show there is evidence of a crime and that somehow you are involved. The burden of proof for the prosecution is very low - there only needs to be a showing of probable cause - in other words a strong suspicion of guilt. However, even though it is difficult to get the case dismissed by the judge at the preliminary hearing, it is important to poke as many holes in the prosecution case as possible. Tai C. Bogan and attorneys with The Bogan Law Firm, A Professional Corporation have defended people in over 100 preliminary hearings. They have had great success in getting the judge and the DA to drop charges, in such cases as sexual assault, robbery, attempted murder and many others. Every case is different and there can be no guarantees on what will happened on any particular case. "I consider trial by jury as the only anchor ever yet imagined by man, by which a government can be held to the principles of its constitution." - Thomas Jefferson. When you are facing a trial by jury and the possibility of losing your freedom (jail or prison) you want The Bogan Law Firm, A Professional Corporation in your corner. Mr. Bogan's and other lawyers with The Bogan Law Firm, A Professional Corporation criminal trial experience extends between simple battery, murder and everything in between. Mr. Bogan and the lawyers with The Bogan Law Firm, A Professional Corporation will aggressively cross examine witnesses including doctors, police officers, other hostile witnesses. The lawyers with The Bogan Law Firm, A Professional Corporation are trained in the area of persuasion and use this skill in court. In fact, Tai C. Bogan, the principal attorney with The Bogan Law Firm, A Professional Corporation received a Bachelor of Arts in Communication and Rhetoric (fancy word for persuasion) Before becoming an attorney, Mr. Bogan garnered awards both locally and nationally for his ability to persuade and communicate during his 4 years in collegiate speech and debate competition. You should retain The Bogan Law Firm, A Professional Corporation for you or your loved one's trial because Tai C. Bogan is a seasoned trial lawyer and because he is good.